You’ll begin with two overnights in the lively Hungarian capital of Budapest. This city has a unique energy and offers an eclectic mix of activities. See the iconic statues of Heroes’ Square, and with free time, explore the lovely lookout towers of Fishermen’s Bastion. On an excursion to Pécs, Hungary, you’ll visit underground burial chambers with fascinating murals, now part of a UNESCO World Heritage Site. 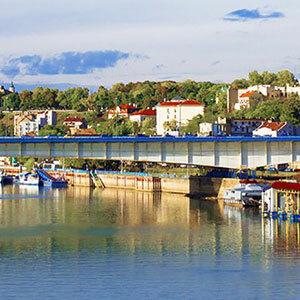 Belgrade, the capital of Serbia, is one of the oldest cities in Europe, where the Sava River meets the Danube. Cruise through the dramatic Iron Gates Gorge and visit the cultural port of Cetate. Visit Bulgaria’s Belogradchik, where you’ll see the fascinating rock formations sculpted by natural elements for over 200 million years. On an excursion to the ancient Bulgarian capital of Veliko Târnovo, you’ll visit Arbanassi’s Church of the Nativity, housing an impressive collection of frescoes. To round out this timeless Eastern European river cruise, a stay in Romania’s vibrant capital of Bucharest is a must. Known as the “Paris of the East,” a local expert will show you many of its historical treasures, such as the Arc de Triomphe, built in honor of WWI soldiers. With a free day to explore before your cruise, take time to shop in the Great Market Hall or take photographs on the Royal Palace grounds in this treasure trove of historical architecture. Try Budapest’s famous thermal bath spas, then lunch in a garden or rooftop eatery. CLASSIC Take a Guided Tour of nearby Pécs to see its 4th–century Christian underground tombs with fascinating murals, as well as Turkish architecture. You’ll also enjoy an organ concert on your tour. 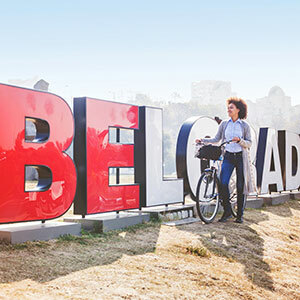 CLASSIC Join a Guided Sightseeing Tour of Belgrade–where the Danube and Sava Rivers converge–and see the city’s many fascinating sights, including Saint Sava–one of the world’s largest Orthodox churches. 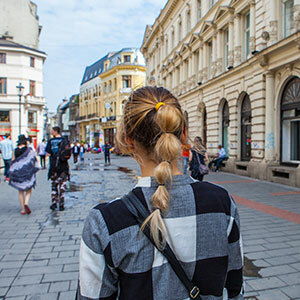 Spend your free time exploring the city on your own this afternoon on Knez Mihailova Street–Belgrade’s central pedestrian thoroughfare with many lively cafés, shops, and cultural spots. This evening, you might like to join an Optional typical Bohemian Dinner in the Quarter of Skadarlija. CLASSIC Join a Guided Tour to Lepenski Vir–an important Mesolithic archaeological site chronicling prehistoric cultures, settlements, and art. Marvel at the ancient discoveries and artifacts, as well as the unique views the site affords of the Danube Gorge. After lunch on board, you’ll sail through the spectacular and narrow Iron Gates Gorge–a natural border between Serbia and Romania. ACTIVE Join your Avalon Adventure Host for a Jog along the river bank. CLASSIC Visit the Danube’s old grain–shipping port on a Guided Tour of Cetate, including a tasting of local specialties. CLASSIC Join a Guided Tour to Belogradchik to see the remarkable rock formations on the western slopes of the Balkan Mountains, sculpted by 200 million years of natural elements. CLASSIC Join a full-day Guided Tour to the former Bulgarian capital of Veliko Târnovo–with its ancient stone houses clinging to the cliffs above the Yantra River. Discover one of the oldest towns in Bulgaria (circa 4300 BC), as well as the Bulgarian Revival architecture in the 15th–century town of Arbanassi. You may choose to stay with your ship today on its way to Rousse–dubbed “Little Vienna” for its baroque and neoclassical buildings. ACTIVE Join an afternoon Jog through the park with your Avalon Adventure Host. CLASSIC Take a Guided Tour of the Romanian capital city of Bucharest with its tree–lined boulevards and Arc de Triomphe–honoring WWI Romanian soldiers. See the Royal Palace Square–the scene of the city’s 1989 riots to overthrow the communist dictator Nicolae Ceausescu. This elegant upscale property is located on the left bank of the river Danube, right in the heart of Budapest with Free Wi-Fi internet access throughout the property. 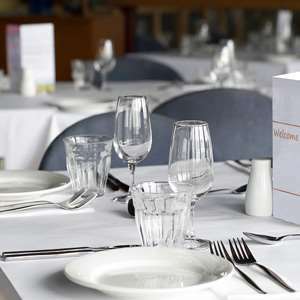 The show kitchen restaurant serves refined French-Hungarian cuisine and the vibrant bar offers the chance to sip cocktails overlooking the illuminated Chain Bridge. Leisure facilities include an indoor pool, well-being & fitness center. Explore Bucharest from the glorious Athenee Palace Hilton Bucharest hotel, one of the city's most sophisticated and prestigious landmarks. The hotel is conveniently located in the heart of the city and enjoys views of Revolution Square and is close to Bucharest's many local attractions. 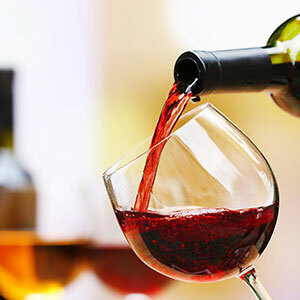 Explore the piquant flavors of traditional Hungarian cuisine and learn the best wines to pair with it during this fun and delicious food and wine-pairing dinner! 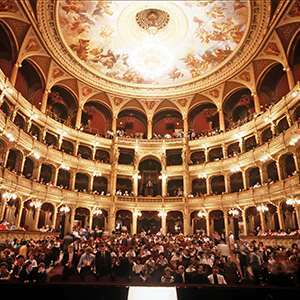 Travel back to the Golden Age of Budapest's Belle Époque on this captivating guided excursion featuring Andrássy Avenue, glass-painter Miksa Róth's Memorial House, and the crown jewel of Budapest: the incomparable Hungarian State Opera House! 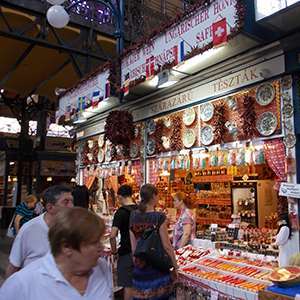 Experience some of Budapest's most famous sights and most delectable foods on this unique guided foodie tour at the city's famed Central Market Hall! Travel into the beautiful Hungarian countryside for an enriching half-day discovery of the Etyek wine region, including two wine cellar visits with wine tasting. Immerse yourself in the rich cultural heritage of Eastern Europe's largest Jewish community on this captivating guided tour through Budapest's former Jewish ghetto. This private excursion is only available for purchase online in advance of travel through the Avalon Waterways website. 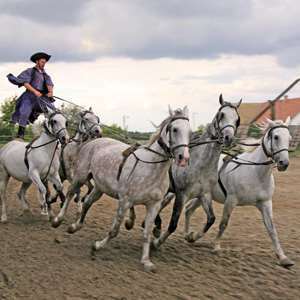 Travel into the heart of the Puszta to an authentic horse ranch, where a breathtaking equestrian show, carriage ride, and hearty Hungarian lunch with Gypsy music await! 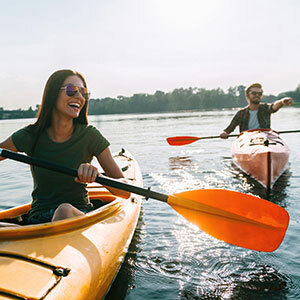 Gain a whole new perspective of Belgrade, Serbia¿s bustling capital, on this active kayaking adventure around the beautiful, forested War Island nature reserve. Feel the spirit of Yugoslavia. The Yugo tour is the ultimate way to experience the rise and fall of socialist Yugoslavia with all your senses. Get to know Belgrade through its people, young and old. Let your local guide introduce you to the people and their stories. The bike tour is focused on the history of Belgrade from WWII to today. The main topics are history and politics of Yugoslavia, social issues, economy, lifestyle and architecture. The English speaking guides present these topics in an entertaining and personal way which guarantees a joyful tour. Everybody can participate, given one has a basic experience with riding a bicycle. The bikes are comfortable Dutch models with 7 gears, perfectly suitable for sightseeing purposes. Total length of the tour is 12 kilometer / 7.5 miles. Visit Serbia's impressive Royal Compound on this guided excursion that tours the white marble Royal Palace; stately White Palace; private chapel dedicated to St. Andrew, patron saint of the former Yugoslavia's royal family; and parts of the extensive Royal Park. 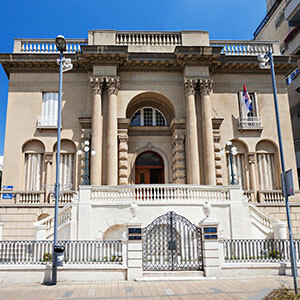 Get a peek into the brilliant mind of one of the greatest scientists and inventors of all time, Nikola Tesla, on this fascinating guided visit to Belgrade's Nikola Tesla Museum. Enjoy a feast of hearty local dishes and live music during this dinner excursion in Belgrade's historic, Bohemian Skadarlija district. 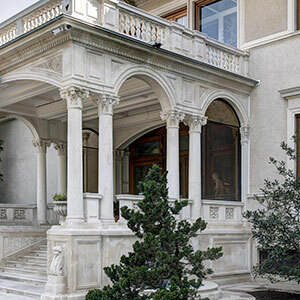 From solid gold toilet paper holders to an indoor pool and cinema, get a rare peek into the home and private life of a former Communist dictator, Nicolae Ceausescu, on this enthralling guided tour of his Palatul Primaverii (Spring Palace). 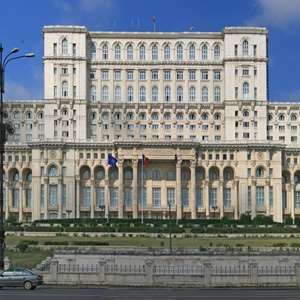 Visit Bucharest's colossal Palace of the Parliament, the second-largest and most expensive administrative building and heaviest building in the world, on this mesmerizing guided excursion. Discover the joie de vivre of Romanian cuisine -- a tasty hodge-podge of Balkan, Ottoman, French, and Russian influences -- on this special 3-hour foodie walking tour. The price listed does not include your airfare, taxes or fees. Once you click "Reserve Now", you will be able to receive an air quote and a final cruise quote. other ship photos (when applicable). Cruise-Only Available: This vacation can also be taken as a Cruise-Only option starting at the embarkation city and ending at the disembarkation city, and does not include overnight land stays. If you are interested in this option, please contact a Travel Consultant for more information. Our volume buying power saves you money. We may be able to provide you with flight arrangements from your gateway city. Avalon Waterways offers 2 air options: Flex Air and Instant Purchase Air. Early Airfare Price Guarantee locks in a price that is guaranteed not to increase. Air pricing and schedules are available approximately 330 days prior to last travel date in the itinerary. At that time the best air price will be utilized and a new invoice with the air cost and confirmed schedule will be sent. The identity of the carrier, which may include the carrier’s codeshare partner, will be assigned and disclosed at this time. If the guaranteed price is the lowest, the schedule with the lowest fare per contracted classes of service will be booked. Any voluntary change to the confirmed flights negates the guaranteed price and is subject to air pricing at the time of the change.